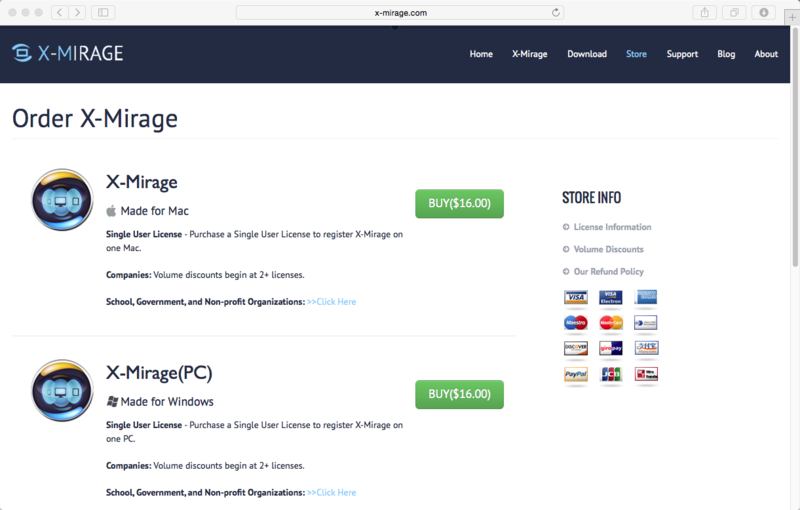 Download X-Mirage and run it on your Mac or PC. 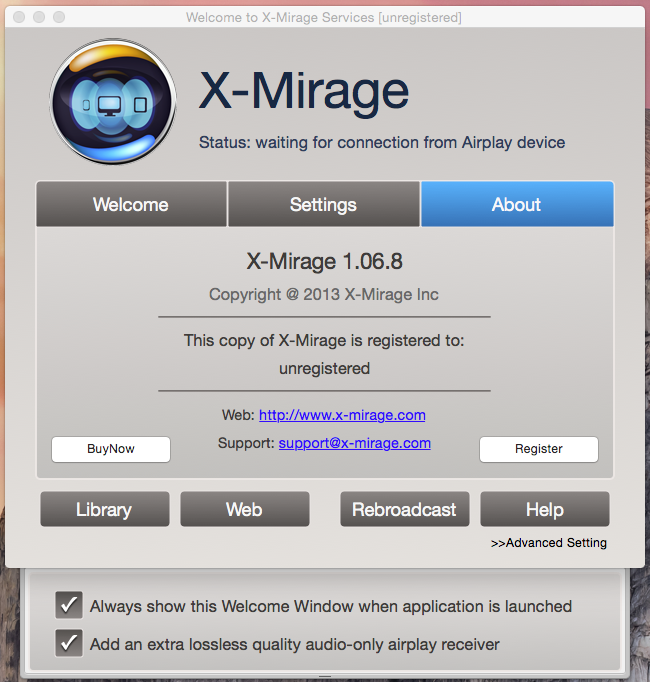 First download and install X-Mirage on your Mac or PC. 1. Double click the installer. 2. 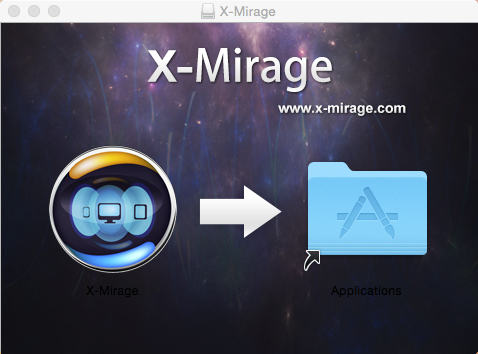 Drag X-Mirage to Application folder. 3. Run X-Mirage. 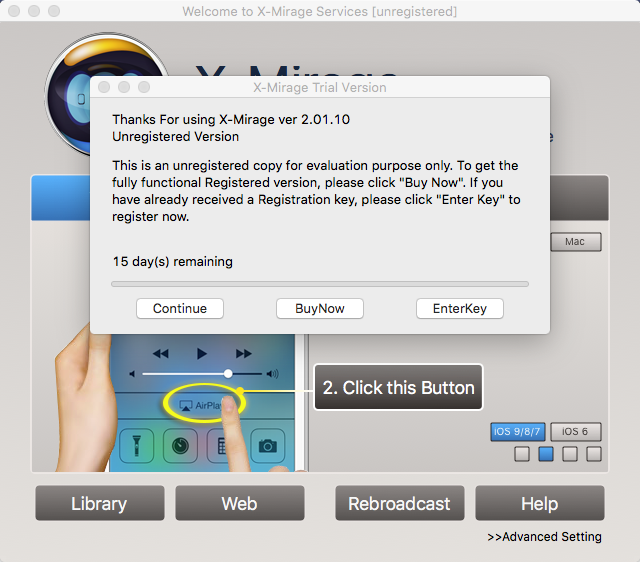 If you want to test the trial version, click Continue. To purchasae a license code, click BuyNow. After getting the license code, click EnterKey to register. 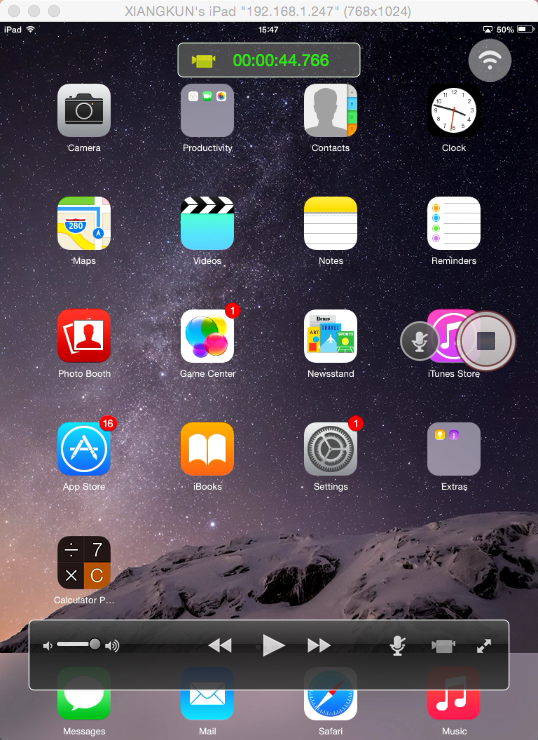 Under Settings tab, you can set AirPlay display size, airplay name, password, etc. Make sure your Mac/PC and iOS devices are in the same Wi-fi network. As long as your iOS devices and Mac/PC are in the same Wi-fi network, you can mirror iOS screen or stream video, music, game or slideshow to Mac/PC. Connect iOS devices. Different iOS versions have different ways to access to AirPlay. 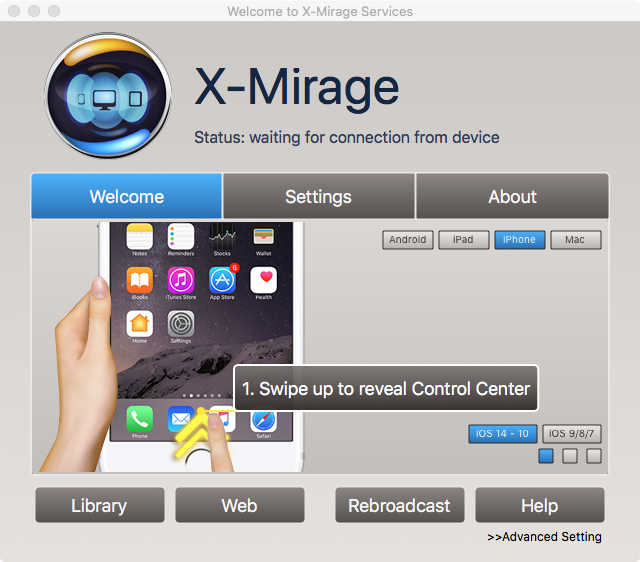 For videos and photos, choose X-Mirage. Tap it and turn on Mirroring. 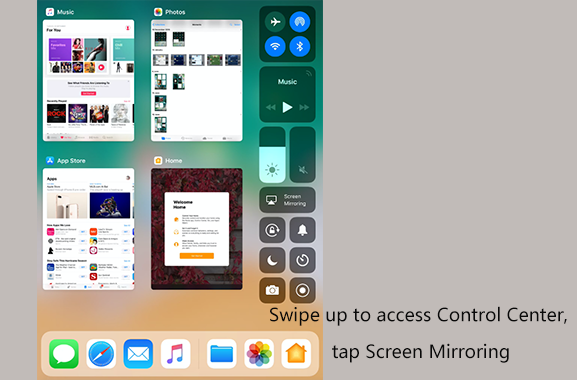 Double tap the iPhone or iPad's home button to bring up the fast app switcher, swipe right once for iPad and twice for iPhones and iPods to find the AirPlay button. 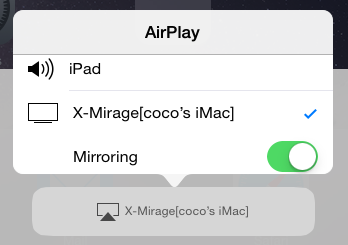 Tap AirPlay button, find your Mac and turn on Mirroring. 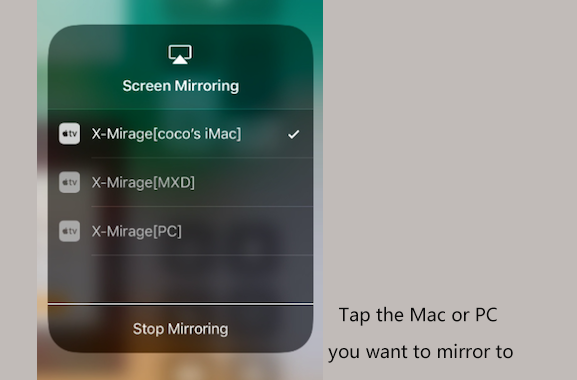 Now your device is connected to X-Mirage and you can see the screen of your iOS devices on the Mac. 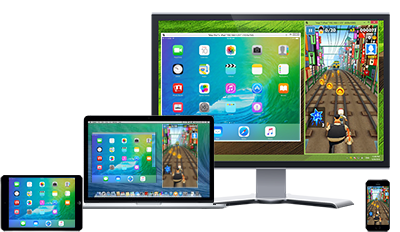 You can mirror multiple iOS devices to the Mac. 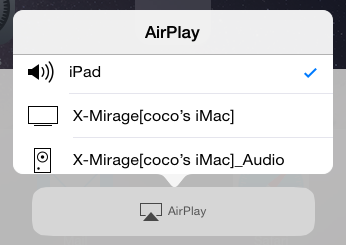 If the AirPlay icon doesn't appear, restart your Wi-Fi router, iOS devices and your Mac. 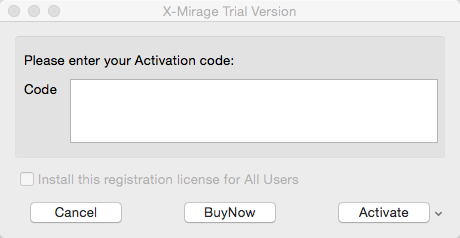 Turn off the firewall in System Preferences > Security & Privacy or configure it to allow X-Mirage connection. 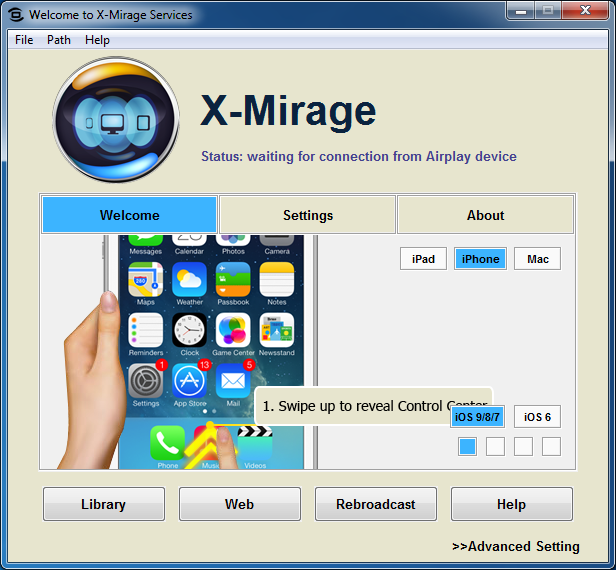 During mirroring, you can record the screen by clicking on the red record button or record voiceover from microphone by clicking the Voiceover recording button (next to the red record button). Click the buttons once again to stop recording. Then the below window will appear. 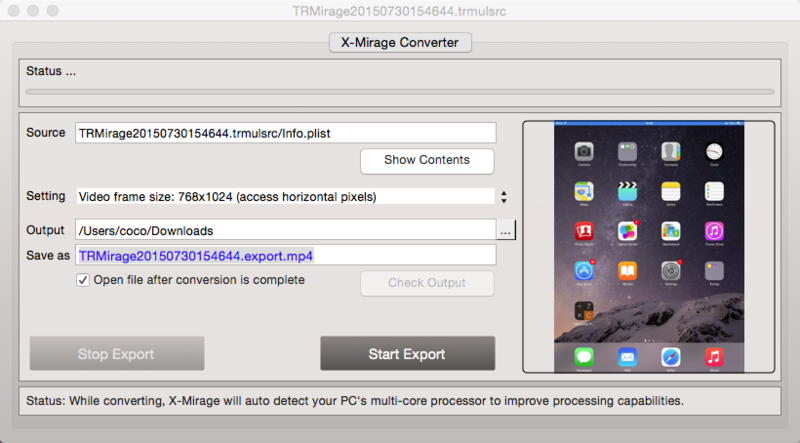 Click "Start Export" to start the export of the record screen video. 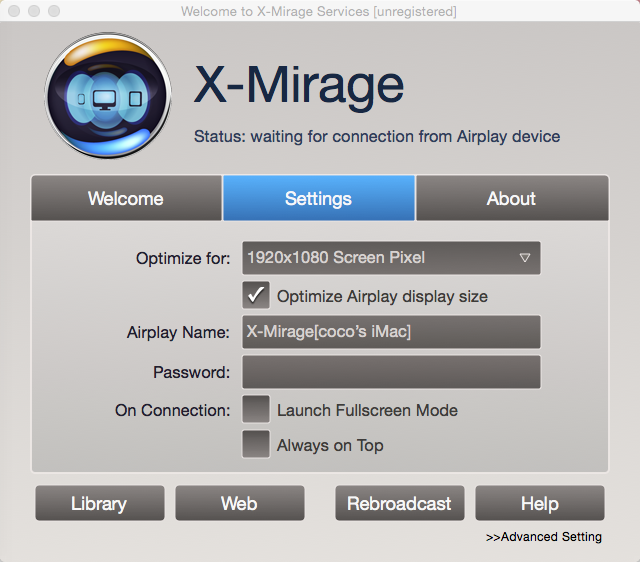 Note: While converting, X-Mirage will automatically detect your Mac's multi-core processor to improve processing capabilities. Click "Show Contents" button, you can see the recorded projects, please delete them after exporting since they will take up much space.